When it comes to party transportation, we can all agree that hummer limos are the best means. 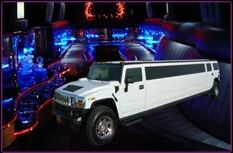 Which is why, we offer luxurious hummer limo rentals in Phoenix and Scottsdale. Along with best on road entertainment experience, they also offer you the best value for money. Can’t think of the best transportation for your exciting event? Well, we’ve got a solution for you. Hire our hummer limos and treat yourself with a luxurious and stylish ride.The moment you enter the vehicle you will be amazed with its features inside. And what makes your hummer trip even more special is our professional limo chauffeurs who are well trained on safe driving. Our limousines are licensed and insured. And we also follow a regular maintenance schedule.